Here are some affordable spring wardrobe essentials for women, make sure you have them ready for the season. 1. 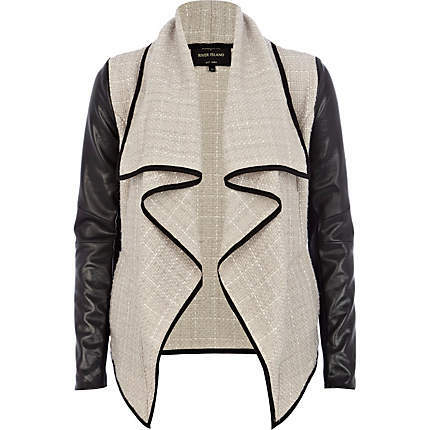 Beige boucle contrast sleeve waterfall jacket by River Island: River Island says – A classic layering piece – you can’t go wrong with this boucle waterfall jacket. With a laid back shape and on-trend contrast binding and sleeves, this is a must-have for spring! 2. 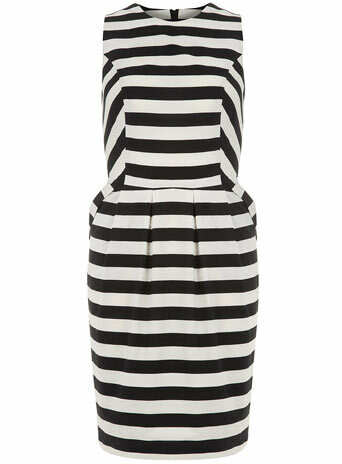 Striped cotton sleeveless dress by Dorothy Perkins: This beautiful black and white cotton dress is a must have this spring, you can wear this dress anywhere. 3. 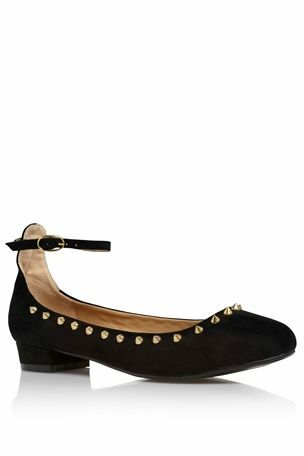 Black studded ankle strap ballerinas by Next: This is a spring wardrobe essential for every woman. This pair will take you from boardroom to dinner. 4. 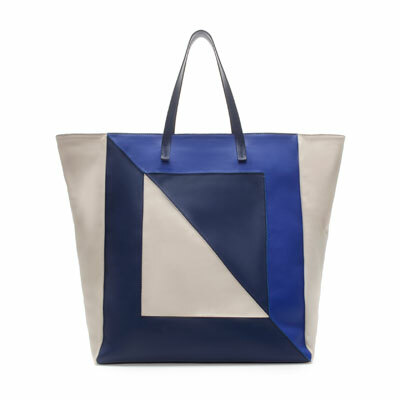 Shopper bag by Zara: This bag has three different shades of blue, it is so “springy”. 5. 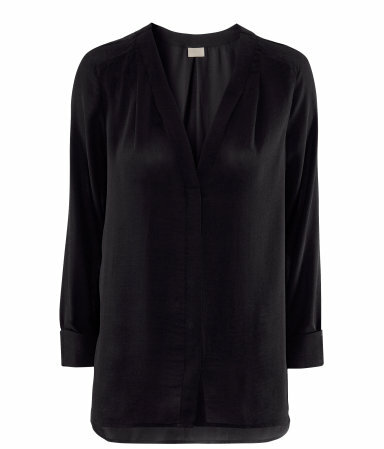 V neck black blouse by H&M: This straight-cut chiffon blouse with concealed buttons at the front, pleats at the top and centre back, and sewn-in turn-ups on the sleeves is a spring must have. 6. 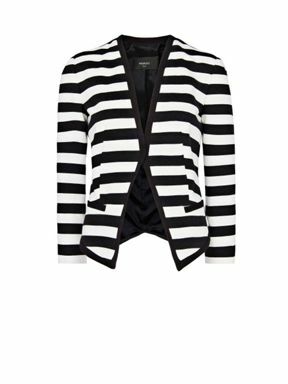 Cotton striped blazer by Mango: This blazer features padded shoulders, twin welt pockets on the sides, vent at back and inner lining. Asymmetric hem shorter at back. 7. 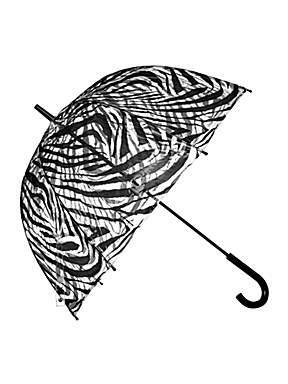 Fulton zebra print birdcage umbrella: This is so important with all the rain we will be having very soon. You can get this esential at House of Fraser. 8. 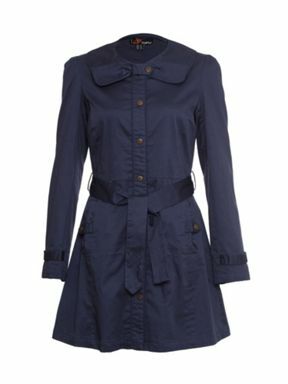 Yumi tie-waisted trench coat: You can get this Tie- waisted trench coat with bow detail collar and Yumi logo popper fastening at House of Fraser. The gorgeous Kimora Lee Simmons is our style icon for this week. I adore this woman, she has a great figure and she know how to dress it. Kimora looks effortlessly chic everytime she steps out. Take a look at some of her pictures below and be inspired.